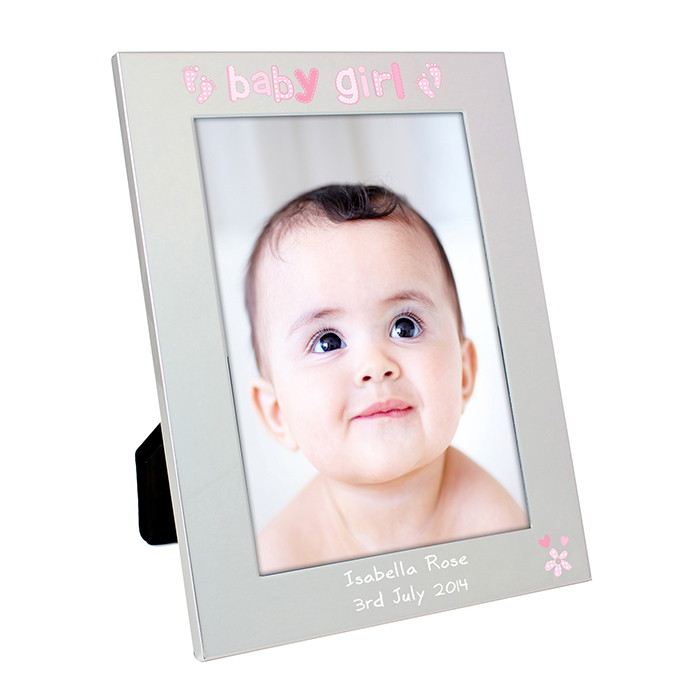 personalise this silver 5x7 baby girl photo frame with any message over 2 lines at the bottom of the frame, up to 30 characters each. 'baby girl' is fixed text. frame holds a 5x7 photograph. Ideal for Christenings, Births, Baptisms and Naming Days.